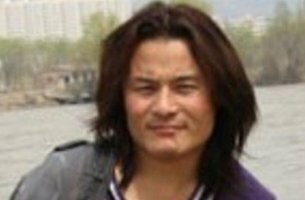 A well-known Tibetan writer, known as Shokjang, was sentenced to three years of imprisonment on 17 February 2016 on charges of writing material that could incite discord among nationalities in Western China and support Tibetan independence. According to Reporters Without Borders, he is among 23 journalists and 84 bloggers who have been detained by Chinese officials due to conflicting views with Beijing’s regime. A prominent Tibetan writer was sentenced to three years in prison on Wednesday for writing material the government said could incite discord among nationalities in the western China region, maintaining secret contact with so-called separatists who want to separate Tibet from China, and causing instability in the community, a Tibetan source from Tibet said. The Peoples’ Intermediate Court in Rebgong (in Chinese, Tongren) of Malho (Huangnan) prefecture in northwestern China’s Qinghai province handed down the punishment to the writer Druklo, known by his pen name Shokjang. Authorities had detained Shokjang, a native of the Gengya area of Labrang Sangchu county in northwestern China’s Gansu province, a second time in March 2015, in an unknown location, the source said. Some Tibetans, however, became aware that Shokjang was being held in a detention center in Rebgong, he said. On Feb. 15, the Rebgong court notified Shokjang’s family that the writer would be put on trial on Wednesday, he said. “Before his detention in March 2015, he had written about the increased presence of Chinese armed security forces in the Rebkong area and crackdowns on Tibetans,” the source told RFA’s Tibetan Service. Shokjang had also written an article that month about conditions in a school in Kangtsa (Gangcha) county in Tsochang (Haibei) Tibetan Autonomous Prefecture in Qinghai province. Authorities first detained Shokjang along with his friend Theurang on April 6, 2010, on allegations of leading a student protest and contacting outside writers and the Tibetan Youth Congress in exile, a Tibetan source previously told RFA. Authorities also had accused them of conducting divisive activities and instigating others to resort to divisive actions, he said. At the time, they were both students at the Northwest University for Nationalities in Lanzhou in Gansu province, he said. Theurang was held in a detention center in southwestern China's Sichuan province, but later released. Shokjang was detained in a facility in Lanzhou and released on May 8, 2010, with stern warning that he would be watched for 10 years. He was also banned from re-enrolling in the university and not allowed to take his final exams, the source said. Shokjang was among the 23 journalists and 84 bloggers that the ruling Chinese Communist Party put behind bars in 2015, according to an end-of-year report issued by the Paris-based Reporters Without Borders (RSF).